Shortly before midnight, Saturday, October 5, 1902, Scofield City Marshal Hugh Hunter responded to the location of a loud party. When Marshal Hunter advised the participants to cease making a disturbance his life was threatened. The marshal returned a second time an hour later and was disarmed in a physical altercation with the partiers. After deputizing half a dozen men, Marshal Hunter returned again to the residence and made several arrests. However, fight with the owner of the home resulted in Deputy Nalley suffering a severe pistol-whipping by the owner, who was subsequently shot and killed by another posse member. 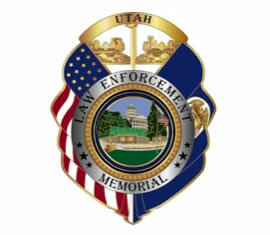 Deputy Nalley was transported to a Salt Lake City hospital by train. He died there on October 14 and was buried in the Scofield Cemetery. Deputy Nalley was single. His bronze name plaque is sponsored by Naples Police Department.